Killer Queen & Royal Jelly: What’s turpentine got to do with it? With Bohemian Rhapsody becoming the second-highest grossing music biopic of all time, Freddie Mercury and Queen are back in the news and on the airwaves. There’s a word in the chorus of “Killer Queen” (“Mercury’s piano-led paean to a Moët-quaffing courtesan”*) that I’ve only just realized I’ve been hearing wrong all these years. And I had always assumed Freddie knew something I didn’t when he sang the French loan word. How could I have been so wrong? “1. If you listen to the the original recording, you can clearly hear the consonants “rp” in that order in the word in question. 2. Queen rarely used nonsense lyrics, and there is no such thing as gelatine. 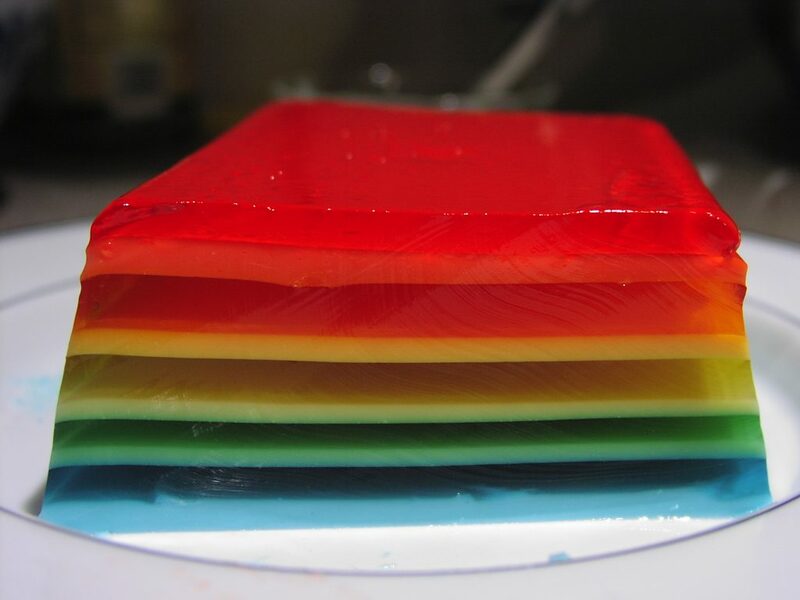 There is gelatin (as in Jello). There is gelignite (as in nitroglycerine gelled with colliodian iirc). But there is no gelatine. I’m afraid I think Kevinalm is mistaken. First, turpentine never rhymes with laser beam — wherever in the world you’re from. Freddie surely would have known it rhymes with dollar sign. And secondly, there is such a thing as gelatine — rhyming with melamine — if you’re a Brit, as Freddie was. Finally, watch Freddie’s lips. Watch this clip below — 1:50 in. Google’s right, as always. He’s definitely singing “Gunpowder, gelatine.” But as Mercury said about “Killer Queen”: “I’d prefer people to put their interpretation upon it – to read into it what they like.” I never thought the song would conjure up images of Her Majesty sitting down to jelly and cream, but now that I know what he’s singing, I have a feeling that’s what it will do for me from here on out. ** Important update: if you listen to this remastered version of the original recording, you might hear what I’m now hearing: it’s gelatine the first time the chorus is sung (30 seconds in); and it’s turpentine when the chorus comes back for the second (1:19) and third (2:20) times. Apologies to Kevinalm: he was absolutely right — at least for two of the three times the chorus is sung. And thanks to Richard for pointing this out to me! This entry was posted in Poems, prose & song, Pronunciation, Yanks vs. Brits and tagged Killer Queen guillotine or gelatine, Killer Queen lyrics on November 21, 2018 by Louise. Gelatine definitely rhymes with queen in British English, and is a fairly everyday cooking term.